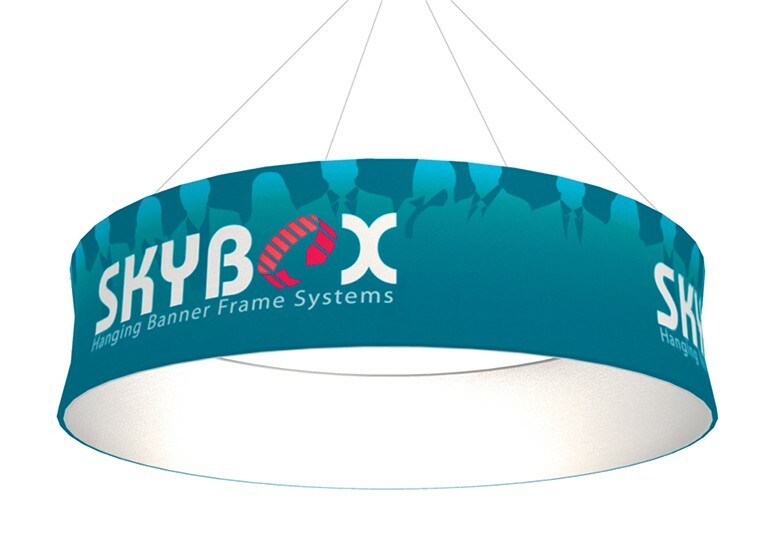 This 15' diameter circular hanging tension fabric display is made of an aluminum tube frame with zippered tension fabric print that stretches over the assembled frame to provide a large, easily visible hanging display. It comes in different heights from 24" tall to 48" tall. This 15' diameter circular hanging tension fabric display is made of an aluminum tube frame with zippered tension fabric print that stretches over the assembled frame to provide a large, easily visible hanging display. It comes in different heights from 24" tall to 48" tall. These three dimensional fabric displays create eye catching presentations that are visible from a distance and will ensure everyone at the trade show will be able to find your booth. Fabric trade show displays are popular because they are lightweight, making them easy to transport and assemble, with graphics that are great looking and durable. 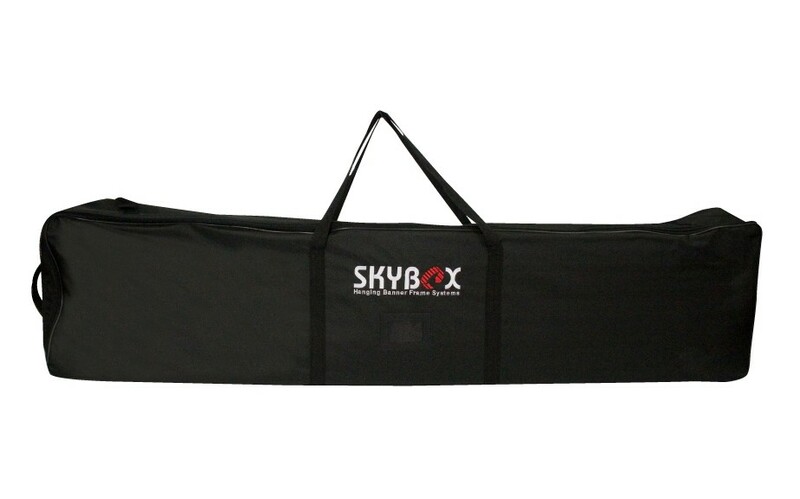 The Circle Hanging Fabric Display 15 ft Diameter includes the aluminum frame, zippered stretch fabric graphic, nylon travel bag, hanging cable, and other required accessories needed to suspend the display from an overhead anchor point. Graphic size: 565.5" x 26"
Shipping size: 72" x 17" x 9"
Graphic size: 565.5" x 38"
Graphic size: 565.5" x 50"
Graphic templates are available in jpg format. Click their icons to download them.